After years of hard work, you are looking forward to retirement. Choosing when to retire is an important decision and involves a number of issues you may want to consider in your retirement planning. 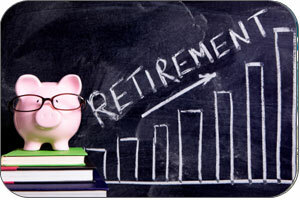 The more you know before you start making decisions, the better off you will be in retirement. The Department of Labor, the Social Security Administration and the Centers for Medicare & Medicaid Services have provided a Retirement Toolkit, which will provide additional information for retirement planning and security. The Administration Office must receive your retirement application prior to the effective date of your retirement. Notifying the Administration Office 30 days before your retirement date is preferred, however, you can apply up to 6 months in advance (mail/phone) or 1 day (in person). Please allow at least 30 days from receipt of your original application by the Administration Office for your retirement to be processed. A photocopy of a Birth or Baptismal Certificate. A complete copy of any and all Divorce/Legal separation decree(s) with property settlement agreements, and Qualified Domestic Relation Orders (if applicable). Once your applications are received by the Administration office, you will be sent a packet of paperwork personalized for you (and your spouse if applicable). This packet will include your Election form for your Retirement (which quotes your monthly benefit amount with all options available to you), Tax form and Bank form. Election Form – Your Election form must clearly indicate the retirement option you wish to receive. Both you and your spouse (if applicable) must make your Election and sign the form in front of a Notary Public. If either you or your spouse have changed your name due to marriage, divorce, or any other reason, it is necessary that you submit supporting documents such as Marriage Certificate(s), or other legal documents pertaining to the name change. Tax Form – All of your retirement is subject to Income Tax. Federal Income Tax will be withheld based upon your instructions. Bank Form – We recommend you have your monthly retirement payment sent electronically to your bank each month. Payments are sent to your bank for a deposit on the 1st of each month. When your completed retirement paperwork has been received, processed and approved by the Administration Office, you will receive a letter advising when your retirement benefit payments will begin. If late hours are received from your employer following your retirement, your benefits will be increased retroactive to your retirement date once all hours are received. If all the steps are checked above you have completed the retirement process. Thank you for all your years of service with the Automotive Machinists Pension Trust!